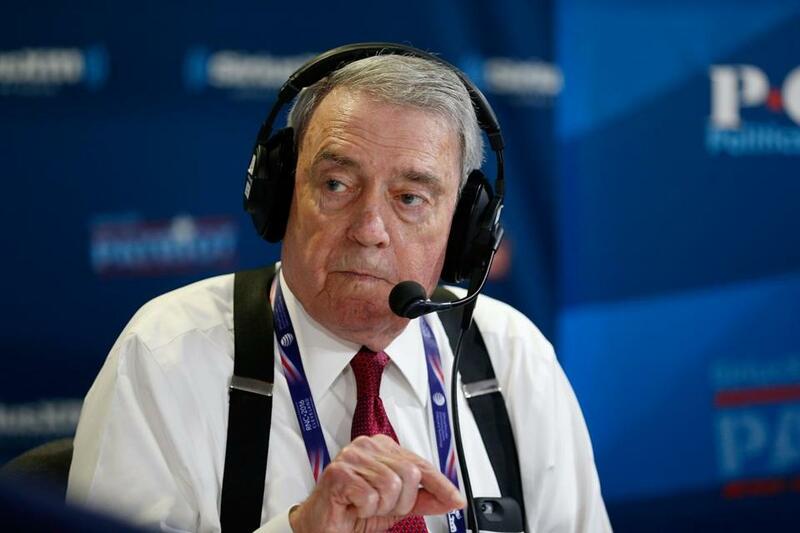 Dan Rather recorded an episode of his satellite radio show, “Dan Rather&apos;s America,” in Cleveland last month. Dan Rather joined the chorus of voices denouncing comments made by Donald Trump on Tuesday, when the Republican candidate appeared to suggest that gun rights advocates might block Supreme Court appointees unsympathetic to their cause by shooting Hillary Clinton. Rather, 84, anchored the CBS Evening News for nearly a quarter-century before stepping down in 2005 amid a controversy over an inaccurate “60 Minutes” report on George W. Bush’s service in the National Guard during the Vietnam War. He currently hosts an interview program on the cable network AXS TV. Trump sparked the most recent in his long series of controversies at a campaign appearance in Wilmington, N.C., as he suggested that Clinton would nominate justices to the Supreme Court who would dismantle the right to bear arms. After the comment provoked widespread criticism, the Trump campaign released a short statement about the “dishonest media” in which a Trump spokesman said that supporters of the Second Amendment were unified in voting for Trump, not Clinton. He called out public figures who say they disagree with Trump’s controversial rhetoric, but maintain their support for his campaign. Rather also questioned whether the news media would sufficiently reflect the gravity of Trump’s off-the-cuff remark. He closed by quoting a passage from Abraham Lincoln’s first inaugural address, in which the 16th president called upon all Americans to come together as friends, rather than allowing the passions of the moment to make enemies of them. Below: Read Rather’s entire post.